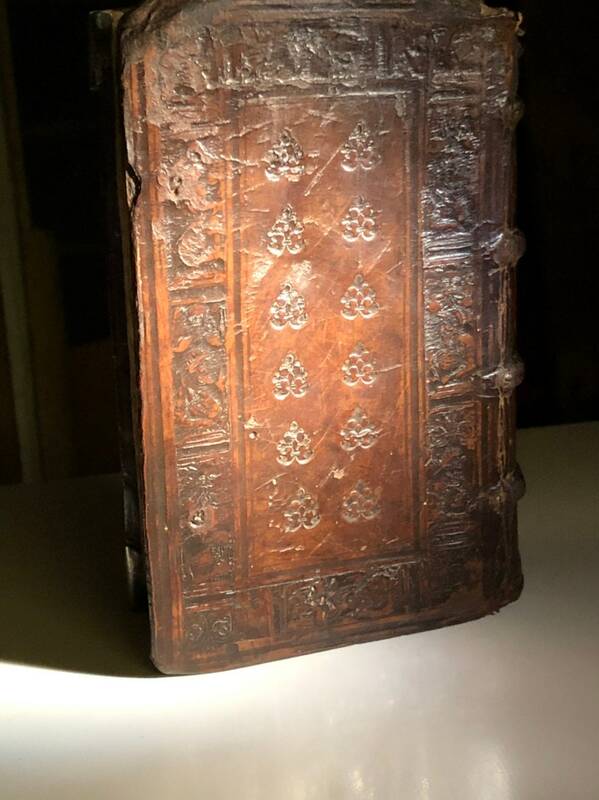 Scarce 1560 tome on Roman history by Appian in the original mid-16th century embossed leather binding. 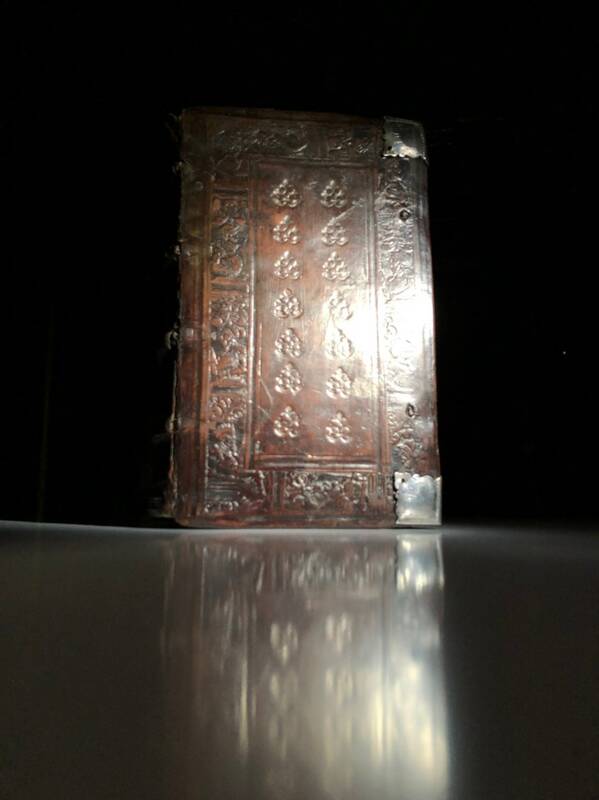 Written in French, this book contains 11 volumes and was part of Appian's most important work on Roman history. 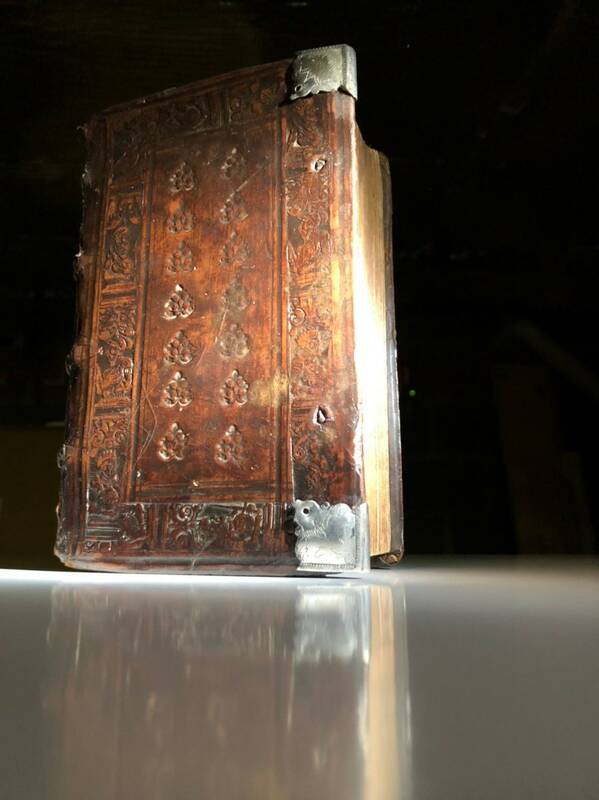 This book is very seldom offered for sale in the original binding. Some writing in the book.. Drawings of birds on the endpapers. 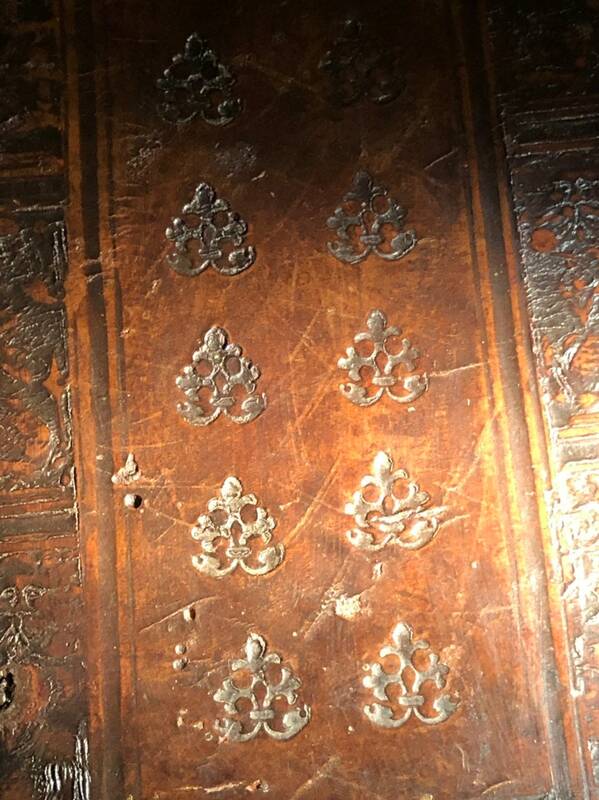 A few stubs of pages at the endpapers with stunning 16th century writing-- not enough to read. 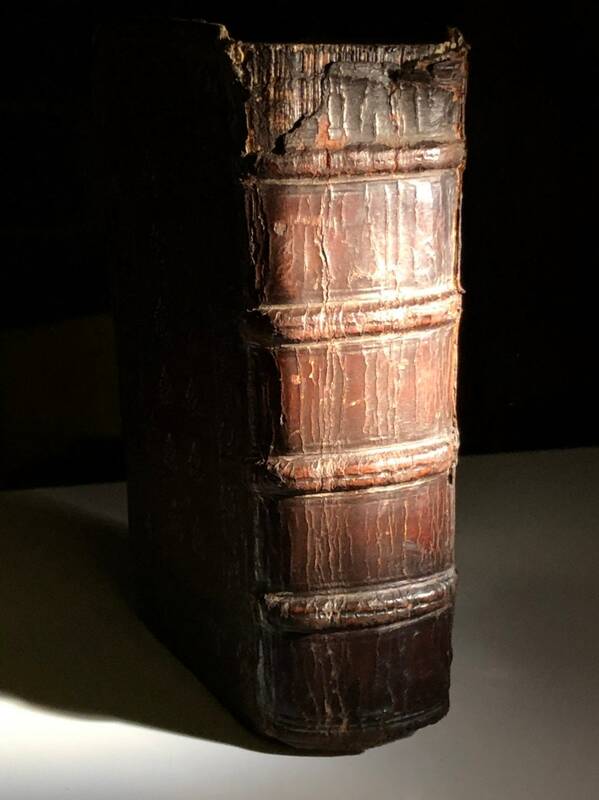 No major issues beyond the swear of the centuries (cracking at spine, slight bookworm holes). 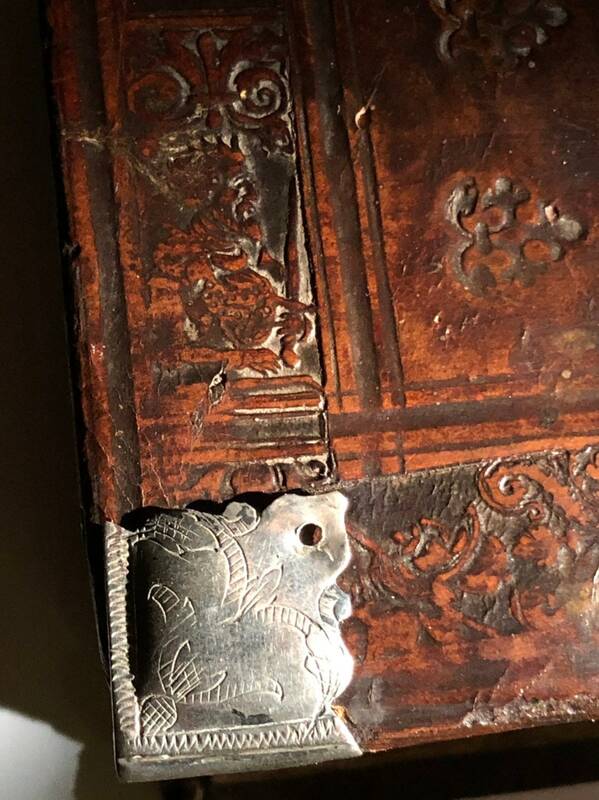 Wear especially to the rear leather of the cover. Generally a very readable volume printed on good quality hand laid paper. 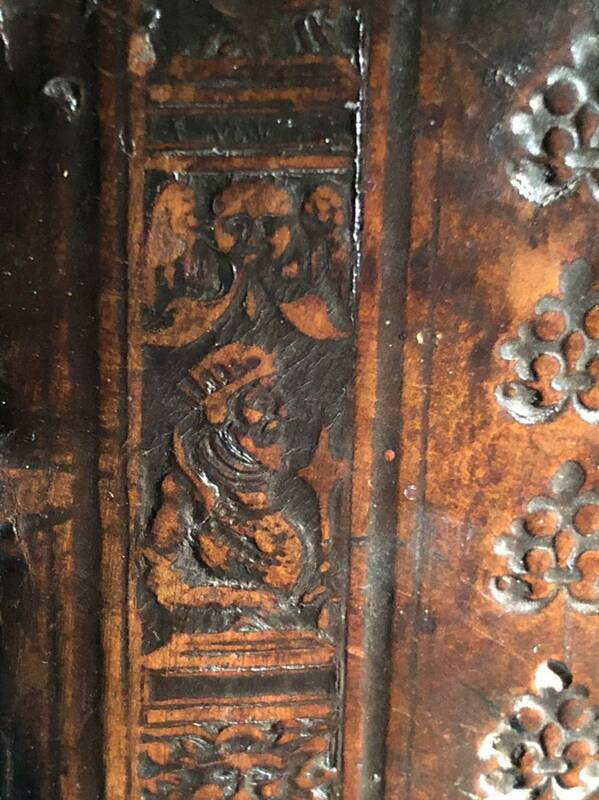 The leather is deeply embossed with kings and knights and other designs. Also, the front cover is accented with gorgeous hand chased silver corners. These are stunning. 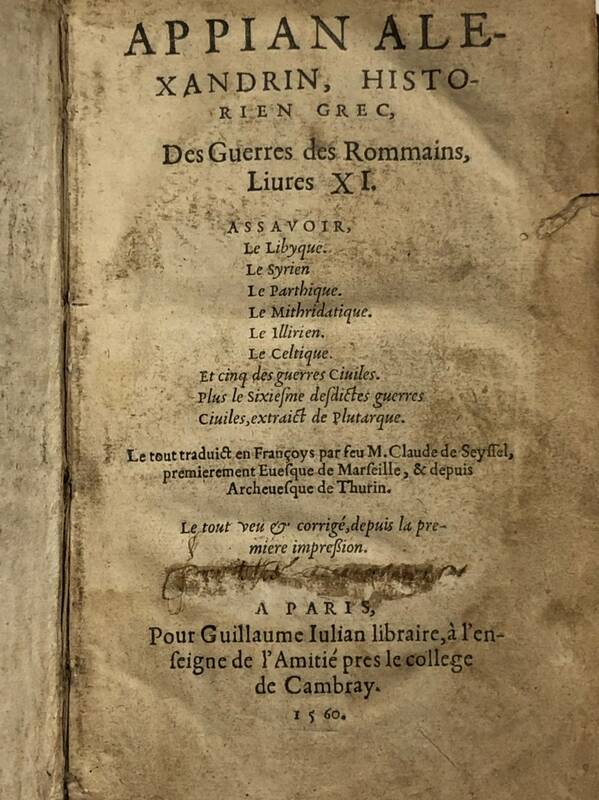 Tital Page: Appian Alexandrin, Historien Grec, Des Guerres des Rommains [sic], livres XI, assavoir, le Libyque, le Syrien, le Parthique, le Mithridatique, le Illyrier, le Celtique, et cinq des Guerres civiles, plus le sixiesme desdictes Guerres civiles, extraict de Plutarque. 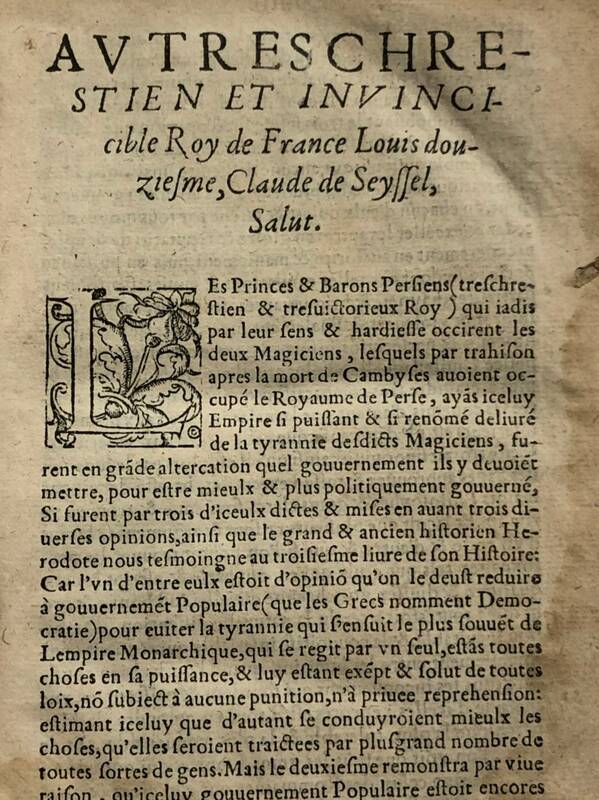 Le tout traduict en françoys par feu M. Claude de Seyssel, premierement euesque de Marseille, & depuis archeuesque de Thurin. 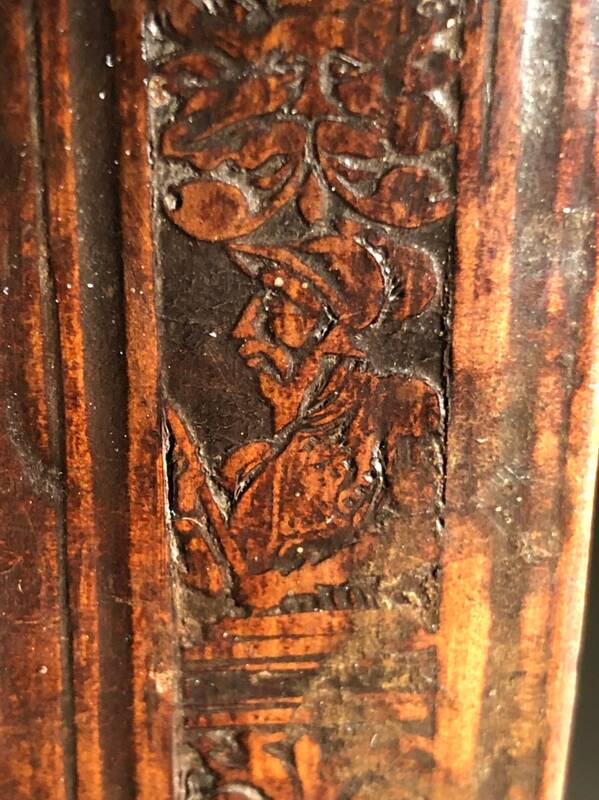 Printed in Paris, "Pour Guillaume Julian libraire, a l'enfeigne de l'amitie pres le college de Cambray".